Dawn Marie FLOCKHART, 16 May 1967-4 February 2019. Dawn Flockhart, after a brave battle against cancer, passed away at the tragically early age of 51. Dawn was one of Scotland's leading sprinters throughout the 1980s and into the mid-nineties. She was an outstandingly talented young athlete, setting an under-15 200 metres record of 24.63 seconds in 1981 which still stands 38 years later. Her all-time career best of 23.71 still ranks in the top 20 Scots of all time. She never won a senior title but was a medallist on 13 occasions, winning 4 silver medals and 9 bronze medals. She represented Scotland in 8 international matches and ran for Great Britain against Yugoslavia in 1984 as a member of the 4x100 metres relay team. She won a bronze medal as part of the GB 4x400 team at the European Junior Championships in 1985 where she was 5th in the 200 metres. A member of Edinburgh Southern Harriers/Edinburgh Woollen Mill, her career bests were 7.72 (60m), 11.80 (100m), 23.71 (200m), 54.4 (400m) and she even tried her hand at triple jump with a legal best of 10.90. Since 2002, Dawn had been working and studying with some of the most renowned Neuro Linguistic Programming trainers in the world and was an extensively qualified Licensed NLP Trainer & High Performance Coach. She was also a qualified hypnotherapist/psychotherapist and a certified yoga teacher. She had a scientific background with a Degree in Computing Science and a teaching qualification from the University of Cambridge. George SPANKIE. 1939-11 December 2018. Long-serving Scottish official who officiated as a grade 1 timekeeper and photo-finish judge at matches from the Commonwealth Games, European Championships, International matches - both for UK and Scottish Athletics - to league matches and Ayr Seaforth Club Championships. Husband of fellow official Helen Spankie and father to former athlete Gillian Spankie. George KIRK. 1923 - October 2018. A great stalwart of Pitreavie AAC and played an emormous part in developing it into one of Scotland's major Athletic clubs. He was a member of Pitreavie for 46 yearrs, having already been involved in athletics in his native Lancashire before moving North of the Border. He was Pitreavie's Cross Country Team Manager for 33 years and coached distance events for many years. Involved in setting up the Young Athletes T&F League, he was awarded Honorary Life Membership of Scottish Athletics in 2006. David SHAW. 19 Oct 1936 - 4 Aug 2018. Greenock-born British international at 3000 metres steeplechase, an event in which he set Scottish bests of 9:17.0 (1957) and 8:57.0 (1958). 3rd AAA 3000S 1958. He was the first professional General Secretary of the British Amateur Athletic Board 1978-81 and was subsequently an executive with ITN and with UK Badminton. Gerald CAMERON. 18 December 1943 - July 2018. One of a small band of Scottish walkers, Gerald competed in the sport between 1967 and 1973 at distances from 3,000 metres to 50 kilometres. In 1973 he took over Buckhaven Sports building it into the biggest independent sports retailer in Scotland, trading under the Intersport banner. Eleanor GUNSTONE. 1927 - 7 July 2018. Executive Member of the Scottish Women's Amateur Athletic Association 1974-92, including Honorary Secretary 1983-86. She was also a General Committee member of the SWCC&RRA from 1975 and Honorary Treasurer from 1977-92. Member of the Interim Council of Scottish Athletics Federation; acted as both Vice–Convener and Convener of the RR&CC Commission 1992-98. Joe BRUCE. 1938 - April 2018. Road, cross-country and hill runner whose career was curtailed by injury in 1962 and turned to officiating. A qualified timekeeper for over 50 years, including at the Commonwealth Games of 1970 & 1986 and the World Cross-Country Championships of 2008. Honorary Life Member, Scottish Athletics. Bruce TULLOH. 29 September 1935 - 29 April 2018. Influential British athlete, European 5000 metres champion in 1962. Competed for Scotland at the International Cross Country Championships 1960 & 1961, and set Scottish 2 Miles all-comers' record 1960. Ian Stuart BAIN, 16 February 1934-20 April 2018. Scottish Champion, Hammer Throw, 1956, 1957 & 1959. Scotland international 1959. GB International 1959. SAAA Junior Champion 1952. AAA Junior Champion 1952. Stewart TOGHER, 14 November 1937-22 March 2018. Hammer Throw. Bronze medal, Scottish Championship 1972. Successful hammer coach: USA National Hammer Coach for 10 years; University of Oregon throws coach, 1983 to 1997. Rita DOCHERTY. (née Stevenson), 1939-3 March 2018. Life member of Greenock Wellpark Harriers and Inverclyde AC and Honorary Life Member of Scottish Athletics. Founding member of Greenock Rankin Park Harriers. Hilda McGILLIVRAY. March 2018, age 95. Honorary Life Member of Scottish Athletics. Former secretary to Lesmahagow AAC, Clyde Valley AC and L&L Track Club. Committee member of the Scottish Women's AAA. Ian McWATT. 13 February 2018. A well-known figure in the photo-finish team and timekeeping, Ian was a huge supporter of athletics across a range of events over a number of years. He officiated at Glasgow 2014 as part of the large cohort of local Officials. Kinnaird St. Clair CUNNINGHAM, 24 September 1930-11 February 2018. Scottish Champion, High Jump, 1953. Silver medal 1952, Bronze medal 1951, 1955. Scotland international 1951. Robin MORRIS, 12 July 1949-4 February 2018. Scottish hill running champion. On the track, ranked at 3000 metres steeplechase, 1970-1981. Sports reporter. Founder member of the Eric Liddell Centre. Quamina COFIE, 1920- 29 January 2018. 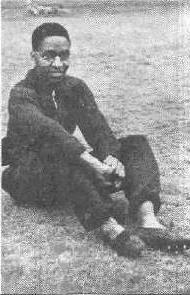 Quamina Cofie was born in Ghana (then the Gold Coast), as Ezekiel Quamina Allotey Cofie, and came to Scotland in the 1940s to study dentistry at the University of Edinburgh. While here, he represented Scotland in the 220 yards at the international v England & Ireland in 1947 and was 3rd in both the 100 and 200 metres at the International University Games in 10.8 and 22.5, that same year. He returned to the Gold Coast Medical Service as a qualified Dental Surgeon in 1949, retiring in 1975. He was appointed as the James Town mantse (king) and Paramount Chief and President of the Ngleshie Alata Traditional Area in Ghana, titled Oblempong Nii Kojo Ababio V, where he ruled for 39 years. Married for over 60 years, he was father to nine children.